COB RTC David Miscavige Amazingly Handles ALL PROBLEMS at PAC Base! – OTVIIIisGrrr8! International Ideal Org Dictator Alice Wu. International Ideal Org Dictator Alice Wu today announced wonderfully positive changes at PAC Base in Los Angeles. “COB severed heads of guilty parties who allowed giant statcrash! Four CO’s heads rolled! Overwhelming Demand Forces Scientology to Increase Yearly Events! 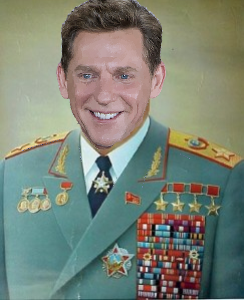 David Miscavige? Who? We Have No Record of Such a Person! a) LA has always been upstat. DM’s previous speeches prove this! b) “discarded” is outright wrong. They have been disposed quietly. An investigation by we in RTC showed the WHY for the statcrash in LA was FALSE REPORTING!!!!!!!!!!!!!!!! That is why four CO’s were removed from post! The WHY is FALSE REPORTING!!!!!!!!!!!!!! COB’s personal stats in LA have always been in Super Affluence, so yes he never false reported anything in his speeches. Okay to go back on course now!? Huh…What you say? Be for real! We in LA…who has time for course? How bout I send you check…then you pump my status? I like big trophy specially when presented by little man with deep voice and bad breath. Wow! 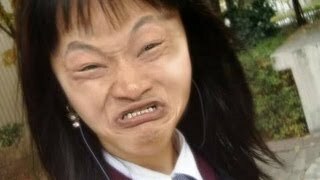 Alice Wu certainly has had an amazing recovery since suffering a mental breakdown in the Sea Org in Australia and trying to escape. How did someone who went Type III get to become Ideal Org Dictator? Life sure is full of crazy twists and turns. People who have the flu are notorious for punching through windows. It’s an ecclesiastical religious right. I like the new uniform. Looks very, ummm, dicktaterish. Did she have a face lift?………I want the name of her doctor, so I can look just like her!